Engaging with a Young Earth Creationist at BioLogos recently, Chris Falter raised the examples of Calvin, Luther and other Reformers opposing Copernican cosmology on the basis of biblical literalism. His aim was to show that this is a dangerous pursuit, and likely to pit theology unnecessarily against science, since nobody now thinks that modern astronomy contradicts the intent of Scripture. 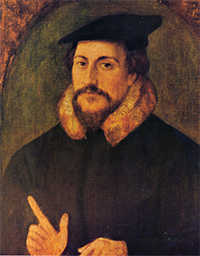 In strictly factual terms this is correct: Calvin and Luther were certainly geocentrists, certainly took scriptures like Psalm 93:1 (“the earth is firmly established/ it shall not be moved”) as support for that position, and may have been familiar enough with what Copernicus proposed to make some kind of informed, and ultimately wrong, judgement. But I suggested there that this is an oversimplified view of the history, citing a few internet sources, not because I think the Reformers infallible (after all, I largely blame them for what I consider the erroneous but now prevalent view of a fallen natural creation), but because it reinforces, and partly depends on, the discredited and dicreditable “warfare hypothesis” presented as fact by nineteenth century authors, and still often assumed true both by skeptics and believers. But like other untruths it leads to many other unforeseen evils as well. My point is that Calvin’s literalistic hermeneutical approach to Psalm 93:1 and Psalm 104:5 led him to vigorously support geocentrism and to vituperate heliocentrism. If he had thought that Psalm 93:1 supported heliocentrism, he would have accepted heliocentrism as the real nature of things without a moment’s hesitation. The conclusion is that Calvin was opposed to the Heliocentrical model and firmly seated in the Geocentric model of his day. However, Calvin has certainly not laid down the ultimatum of the pseudo-Calvin quote that demands us choose between the Word of God and Copernicus. It is quite natural and appropriate to understand Calvin as accepting the prevailing cosmology of his day, rather than chasing (from his perspective in history), a novelty that is against the scientific consensus of the experts of his era. In conclusion, it would be a great error to use John Calvin’s 16th century mind to oppose the accepted scientific consensus of today. He was not a biblicist or fundamentalist that opposed scientific knowledge to vet the Word of God against the world (which is the Theatre of God’s Glory). It would be appropriate to believe that if John Calvin lived today, over 500 years after his birth, that he would not support the scientific conspiracies of factional groups, in the same way that he did not accept Copernicus, but we would think of him as embracing the Science of our day. If anything, Calvin’s rejection of Copernicus teaches us to be cautious when rejecting the established scientific theories of today. What we can say is this: the universe as we know it has not always existed in the past. It has come to be. Discussions of creatio ex nihilo make sense. That statement does not appear overblown, and yet it still depends on the belief that current science possesses the general truth. In this case the science has been established just a few decades – in the case of geocentrism, it had been settled for a thousand years or more. Imagine that Calvin had, equally cautiously, said: “What we can say is this: the earth does not move. Discussions about God establishing it firmly in Scripture therefore make sense.” It was the truth of the first, scientifically secure, premise that was eventually overturned. The study of the trivium and quadrivium enjoyed preeminence at the three great northern universities – Oxford, Cambridge, and, especially, Paris. 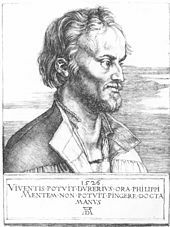 Rheticus’ hopes were dashed when six years after the publication of De Revolutionibus Melanchthon published his Initia Doctrinae Physicae presenting three grounds to reject Copernicanism. These were “the evidence of the senses, the thousand-year consensus of men of science, and the authority of the Bible”. Westman’s monumental tome (700 pages!) 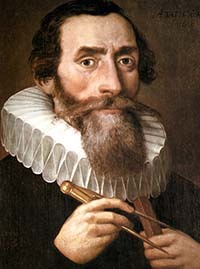 on Copernicus in his setting, The Copernican Question, also shows how we are no less selective than the Wittenbergers in embracing Copernicus, even if we disregard his error about circular orbits, only corrected much later by Kepler (whose work Galileo rejected!). 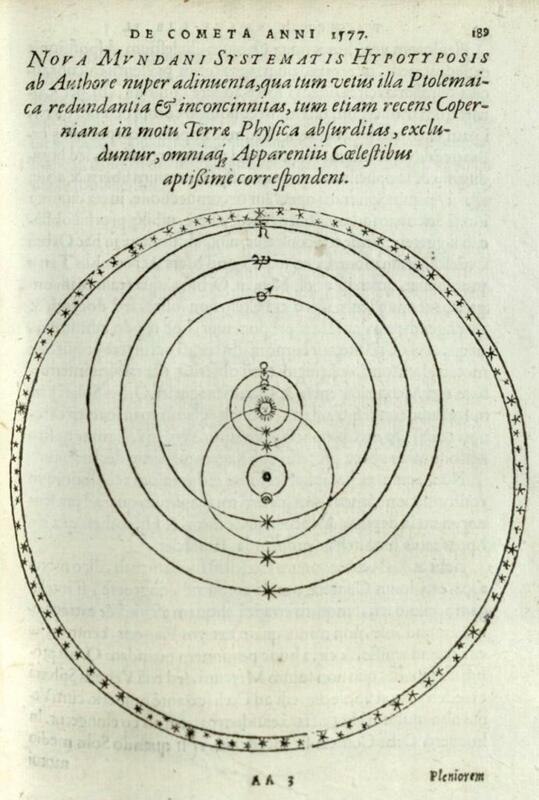 For “the book recounts Copernicus’s unseen plan, which was to fortify the ‘science of the stars’, i.e., astrology mixed with astronomy, by buttressing its astronomy, including its computation and measurement foundation, commencing with planetary arrangement.” Westman shows how the astrological motive (probably not popular with the Reformers on biblical grounds!) was only gradually purged from heliocentrism, until the time of Newton. It must be added that others deny that Copernicus was interested in astrology, but most of his early scientific followers certainly were, including Galileo. Despite the near universal acceptance later of the heliocentric idea (though not the epicycles or the circular orbits), Copernicus’s theory was originally slow to catch on. Scholars hold that sixty years after the publication of The Revolutions there were only around 15 astronomers espousing Copernicanism in all of Europe: “Thomas Digges and Thomas Harriot in England; Giordano Bruno and Galileo Galilei in Italy; Diego Zuniga in Spain; Simon Stevin in the Low Countries; and in Germany, the largest group – Georg Joachim Rheticus, Michael Maestlin, Christoph Rothmann (who may have later recanted), and Johannes Kepler.” Additional possibilities are Englishman William Gilbert, along with Achilles Gasser, Georg Vogelin, Valentin Otto, and Tiedemann Giese. 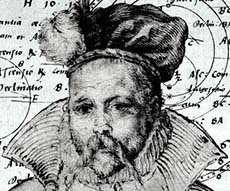 “By ordaining a triple motion of the earth, Copernicus introduced no trivial physical absurdities.” Brahe emphatically denied that the “physical absurdities which accompany the Copernican hypothesis were adequately refuted by him.” A letter in which Brahe, the foremost astronomer of the second half of the sixteenth century, referred to the “absurdities introduced by Copernicus” was published by the recipient, Giovanni Antonio Magini (1555-1617). Long before receiving Brahe’s letter, Magini himself had publicly referred to “absurd hypotheses, such as Copernicus imagined.” …His hypotheses “are attacked by nearly everybody for being too far away from the truth and absurd.” These condemnations of Copernicus came from Magini’s pen shortly after he was appointed to fill the vacant professorship of mathematics at the university of Bologna. An unsuccessful rival for the same appointment had been none other than Galileo himself. What does all this mean, given that Copernicanism, or actually Keplerism, eventually prevailed … or has, at least, for the last 350 years? 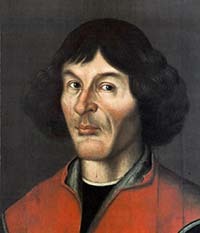 Certainly, that criticising churchmen of Copernicus’s own time for rejecting his theory, when professional astronomers of sixty years later mostly still rejected it too, is pernicious. Even to blame them for taking Scripture too literally is unjust: remember, Melanchthon put commonsense and long-established science before Scripture in his list of objections, and the astronomer Tycho Brahe employed exactly the same triad of arguments, in the same order. If religion resisted Copernicus, professional astronomy did, and for exactly the same reasons. But perhaps we should excuse science, as so often skeptics do, on the basis that it is self-correcting, and eventually accepted Copernicanism? If so, then exactly the same must be said of theology, which was no slower to adapt its hermeneutic of Scripture than science was to overcome its objections of violation of the laws of physics. The only part that eventually became “settled science” was the heliocentrism – and probably as importantly, the peripheral suggestion that the stars were other worlds rather than points on an outer sphere. In other words, knowledge staggered forward in the usual sporadic human manner, with Copernicus gaining one insight, to be corrected in a rather Hegelian way by the valid objections of his many critics – including, in fact, those of theologians like Luther, Calvin, Melanchthon and Owen. However, I don’t think it was intrinsically correct for them to stick with their established science as a matter of principle: why should it ever be correct to be wrong? Had the theory been more persuasive, or had particular aspects appeared convincing to their mindsets, or even to their understanding of Scripture, then it would have been quite in order for them to opt individually to bat for one team or the other, so long as they didn’t use scientific opinion to establish their public doctrine, or to break their Christian unity. After all, the passage in John Owen, though it actually predates the conclusive work of Newton, can actually be interpreted in context as confirming heliocentrism as the fact, yet not overturning the validity of ancient phenomenology – a postmodern position, in the healthy sense. With reference to origins science, and how Christians whether inside or outside science should position themselves, I think the only guidance the Copernicus episode gives us is that even science that has been settled for a thousand years may be flat wrong. There may be reasons for believing the consensus, or supporting it whilst witholding judgement. But equally there may be reasons to dispute it – including that one is not intellectually persuaded it is true. The Modern Synthesis is less than a century old, and is being challenged by far more alternatives, and many more scientific dissidents, than geocentrism ever was: geocentrism never had a Third Way Movement within astronomy. Darwinian evolution itself is less than 160 years old – and even evolution in its broadest, most uncontroversial understanding of “descent with modification” is just a century older, and no more empirically confirmed than was the Ptolemaic system. If we are inclined to commit ourselves to the idea that the latest consensus must be supported, then we should remember that Tycho Brahe’s system, for a while, was the successful consensus that had replaced the failed anti-science of Copernicanism and its stubbornly reactionary (and dangerous) modern proponent, Galileo. 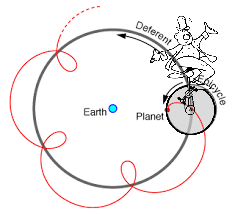 The Brahe Consensus – refuting both the “overcomplicated and inelegant Ptolemaic” system and the “johnny-come-lately Copernican with its inconsistent physics of a moving earth” in keeping with all the actual phenomena of the heavens. oh no. First it doesn’t matter what some protestant leaders thought. They would be the first to allow the idea that biblical interpretations can be wrong when done by people. this is why protestant nations easily accept new ideas while cAtholic ones did not. The cAtholic church insisted their bosses knew best. protestants only that the bible knew best and look closer, oh yeah, it doesn’t say this or that. Unlike biologos Protestantism brought in allowance for disagreement while under biblical inerrancy. people skrew up. not god’s word. Biologos has nothing to do with real true to life evangelical Christianity. Its just left wing wannabes with speech/thought control zeal like all the bad/dumb guys in history. That’s rather too simple. Since I started from a criticism of the Reformers, I majored on the Protestant attitudes. But very similar thinking was at work in the Catholic Church, for all its greater uniformity. For a start, of course, Copernicus was himself a Catholic canon lawyer. 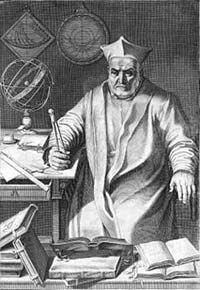 The Jesuits were pretty quick to adopt the calculating possibilities of the new theory, whilst not getting involved in whether it was “true” – a very comparable position to the Wittenbergers, which resonates with the mediaeval view of science as “saving the phenomena” rather than “revealing the truth”. Rejection of the theory appears to have come from Protestants first, but those Catholics who objected (and I mentioned Clavius) did so, like the Protestants, on the grounds of common sense and settled science (ie that the new theory introduced absurdities), and likewise the Catholic theological objections centred round the interpretation of the same passages of Scripture as the Protetstants found difficult. Galileo’s ventures into treating those passages non-literally were, of course, intended for Catholic critics rather than Protestants. It was the Pope who commissioned Galileo to produce a balanced account of both theories (a brief in which he spectacularly failed, to his own grief, by insulting his sponsor), much as Melanchthon had sent Rheticus to get trained up in the new theories. For all the religious disputing, Europe still had a shared intellectual life, which is why Lutheran astronomers like Brahe and Kepler made their discoveries largely whilst working for Catholic governments. This is a bigger issue. However I do see that protestant thought on early science was more inclusive because they only cared what the bible said. Not men like the old pagans. the catholics cared greatly, still do, what the settled conclusions were and the authority of thinkers. I think relevant is two short wiki articles. Merton’s tthesis and Gerhard lenski. The first a Jew and so Judaism as religion. They both see science as very founded in the reformation protestant, even Puritan etc, influence in certain nations. In fact i found them by reference of Puritiism and early science. Possibly you know these things but it does say there is this thought about these things from even a century ago. I don’t deny the strong influence of Puritan (in its cultural as well as its doctrinal sense) thought on early science, as the trajectory from Bacon, through Boyle etc in Britain shows. I’m a huge fan of the Puritans and the European Reformers, as about three shelves of them in my bookcase demonstrates. Like most things in history, though, it is both more complex and more disputed: there was a strong element in Puritanism that regarded science as a distraction from salvation. And critics of Merton have pointed out things like centres of experimental science in Catholic Florence, the support of the Jesuits for science. It’s still a thing the experts argue about – but there seems indeed to be a persistent observation that “there’s something in the link of radical Protestantism to early modern science”. My own feeling is that there has been an over-reaction against Aristotelian science that’s come to be seen as pre-science giving way to science, as if science began with Bacon. That’s too simple: there was much good work done in mediaeval Europe which was, of course, entirely Catholic. It seems to me that the Protestants, having already overthrown the Church tradition, were more willing to abandon the synthesis of Aroistotle and Christianity that was forged in the middle ages than were Catholics. But when push comes to shove, Copernicus and Galileo were Catholics, as was Descartes, Lavoisier, Fermat, Pascal, Vesalius and a bunch of others from that period. Yes its involved. My big point was that protestanism was more at ease wioth new ideas in science as long as not opposing scripture wHILE catholics had the greater burden of new ideas not opposing Church doctrine/its reliance on famous thinkers from the past. I don’t think puritanism/protestantism had anything to do with science development. I think its a wrong analysis. What puritan/protestantism did was raise the common intellectual mean/curve for the common people with a like greater rise in the upper classes. The old Italian cities simply also had a rising curve/mean relative to others. Yet it did not reach into the common people as protestantism did and so science, amongst others, was really done much better in protestant nations. theyu see the curve, as you say, but draw a wrong conclusion. the rise of science really did come from rise of the common man and that from a religious motivation. All relative to others of coarse. Now the relationship of Christianity to the rise of western science is a much safer argument than the relative merits of Catholicism or Protestantism, as you may well know. God as the Creator who would make the same “laws” apply to his creation, yet be free to do as he chose meant that the Greek emphasis on reason, inherited from Aristotle and so on, had to be supplemented by investigation of the way things actually happen to be. That also needed a willingness for intellectuals to get their hands dirty, which again was a Chroistian thing (maybe especially through the monastic movement at first). If you’ve not read it, Hannam’s “God’s Philosophers” is a good look at the roots of science in the mediaeval period. I had coincidentally just picked that book up again for a second reading in which I hope to retain a lot more than I did in my initial reading, as enthused as I was to educate myself about these things then. Thanks for continuing to pound away at this theme, Jon. We are too partial in thinking epistemic humility is less fitting to the province of science (the seemingly settled sort) than in everything else — especially theology. Merv – we do indeed need to plug on at making science a part of the real, ambiguously human, world – which is really its glory, far more than the myths. In the restaurant today, my nine-year old granddaughter was amusing us with some Trivial Pursuits questions she’d found on a shelf. One was “Which sixteenth century Polish astronomer demonstrated that the earth goes round the Sun?” I won the point, of course, having just done this blog, but I had to point out that he demonstrated nothing of the sort: he only hypothesized. Demonstration came gradually later through Kepler, Newton, and (I believe) only finally by Foucault with his pendulum as late as 1851. Got to start them young: Emma earned her waffles and ice-cream today! I know you have been at pains, Jon, to put out this raging theme of natural autonomy in what you must feel is the most frustrating “whack-a-mole” game over the years, and maybe you have discussed the attribution of this idea attributed to 12th century William by Hannam here. My apologies if you have and I’m just forgetting the relevant piece. But it does seem that for better or worse (If Hannam is right) the whole concept of “natural autonomy” does have pedigree stretching back at least this far. Not that this makes it theologically correct, of course. But at least it isn’t a modern invention. I also recall (though I can’t find the passage at the moment) that Hannam also describes various monks as working through the concepts of primary and secondary causation around or prior to this time as well. So I don’t suppose we could plead that they were lacking in these nuances, though they were only beginning to enjoy the cross-pollination of these ideas that we benefit from now. He suggested that when we consider the reasons behind an event, we have to look at both the primary and secondary causes. According to William the primary cause, the ultimate reason why anything happens, is God… Nothing happens that is contrary to his will. However, the natural philosopher can also ask in what way God has attained his aims. Hannam then goes on to describe the natural laws God created at the beginning of the world – though at that time one must understand that William would have been working in a Platonic or Aristotelian framework of the “natures” of created things, rather than “universal laws out there somewhere”. In that way, he would have had to see “autonomy” not as “free from law” but as “subject to its own God-given law”. And so the stone’s law is to fall, the lion’s to hunt, the deer’s to flee and so on, and they follow these divine “programs” reliably. It seems then that William’s “field of operations” is the debunking of occasionalism with respect to natural philosophy, and his resolution is reaching towards (or maybe achieving) some concept of concurrence, as opposed to the deistic idea of bare conservation of an independent nature. So nothing was doing its own thing, but God was working instrumentally through it by his created law – and (as the passage also says) still leaving room for God’s individual action in answering prayer, miracles and so on. I would see that is consistent with what I’ve been arguing in recent posts: that what we can know of secondary causation by science is what is a reproducible pattern. It’s actually a philosophical choice to attribute that to the created order (concurrence) rather than to God’s reliable direct action (occasionalism) – and indeed, in some ways that distinction is a trivial one, for God is achieving his aims through both. But what is contingent does not (at least to our knowledge) arise from such laws, and so it is reasonable to attribute it to God’s direct action. Hannam’s “problem” for the Christian, of how he can distinguish God’s direct action from natural law, is easily answered: if there is a reproducible pattern, it’s a law. However, that does not logically preclude its being God’s direct action, and according to William it would still be God’s action, but indirectly or instrumentally. An analogy would be trying to distinguish what in a car was built by hand, and what by a humanly-programmed robot. It’s probably possible to do so, and may be of some use – but says nothing whatsoever to refute the fact that the car is an entirely human creation. Well-answered. More comments might be forthcoming as my re-reading progresses. I’d like to learn more about William of Conches myself –and if/when I do some research in that direction, maybe there will be more to share. Theological naturalism has no way to distinguish a paradigm problem from a research problem. It cannot consider the possibility that there is no naturalistic explanation for the DNA code. If a theory of natural history has problems — and many have their share — the problems are always viewed as research problems and never as paradigm problems. It has been suggested that religious people who see God as intervening in the world cannot do science because they believe everything that happens is God’s will. In other words, they are unable to distinguish between something that is a result of the laws of science and something that occurs due to the direct actions of God. The first suggests that scientists are incapable of distinguishing anything non-natural from natural. The second says exactly the same of religious people. I suppose both could be true, and that nobody can appreciate both. However, if I examine the two claims logically, they are themselves distinguished by the fact that science is, indeed, formally restricted by a methodological principle (on which the first claim is founded). Whereas Hannam’s claim doesn’t actually appear to follow, because believing God intervenes in the world does not logically entail believing that he does so in every case, or that he must do so apart from secondary causes. At worst it allows for the existence of two categories that may get confused sometimes. How would I test the two claims? The second would tend to be corroborated if Christians who believe in providence or miracles are not represented in the sciences, which seems to be false. The first would be corroborated if the finding of scientific explanations is habitually taken as evidence that God is not acting in a given case, but the causes are entirely “natural”. That seems to be true, even within theistic evolution arguments. Was I being thick in asking Hunter to explain his position more fully? I don’t quite understand what he’s getting at, and he seems to be bandying terms around in his own way (a thing which, funnily enough, my ethics prof said is a trademark of existentialist philosophers, though I don’t quite think Hunter is one of them!). If he has a good point to make (perhaps he does, I still can’t tell), could you help me see it? I don’t want to be uncharitable to him, but he’s being terribly vague and terse, though I think he’s attempted to expound his thoughts in recent comments that I haven’t read fully just yet. As far as I understand Hunter’s position (and it doesn’t seem that incomprehensible to me, which maybe says something about me, or about the guys at BioLogos), he sees the naturalistic metaphysical commitments in evolutionary theory to be so ingrained as to guide the whole way people think about it from within. In other words, he defines “evolution” as she is spoke rather than in some ideal form where it simply means “descent with modification”. The difference from, say, Joshua Swamidass is that the latter takes quite a purist stance that (in his view) neatly trims off metaphysical assumptions whenever they appear. So that when that guy Andy Gardner at the RS meeting blithely opposed natural selection to design, Cornelius would say he was blind to his imposition of a naturalist metaphysic on the science (and since that is a norm in the academy, he would argue that the science itself is tainted). Joshua, I guess, would simply say Gardner was adding philosophy to science, and taht it was really a bit naughty, but doesn’t affect the science, and that lots of scientists don’t. Yet in my view, that BL thread is full of people failing to see the metaphysical assumptions they are making when they say they’re talking only about science and making no metaphysical assumptions. Cornelius has evidently read the theological and philosophical history – but I don’t think people want to know about that. GD can see the metaphysics, and so is sympathetic to Hunter even though he’s not an ID or a TE himself. I agree with him, but I’m keeping out of it, not least to avoid the temptation of responding to those with no biological training whatsoever pulling the “You don’t understand evolution” card in mimicry of the alpha males of the pack! Thanks for clearing it up, Jon; I see where he’s coming from a little better now. I still think that he’s not being clear enough in making his his point, however. I don’t quite get his whole “truth claims about God are religious statements” thing, which of course is true. But I don’t see how (as I asked him, and got a nonanswer) that isn’t applicable to anything about science at all. It’s a frustrating thread, to be sure, and I did have to fight the “you don’t understand evolution” urge, if I’m perfectly honest. One last thing–do you mean GD isn’t a TE in a Biologos sense, or in a general sense? My frustration with terminology and labels grows daily! GD comments here, so can speak for himself. But I think his main objection is in tying Christian Creation theology to any scientific cart, be that ID’s “design detection” or TE’s “creation through evolution”. I have followed the discussion with Hunter on BioLogos. Hunter’s position takes a while to get hold of. I know that it took me a while before I grasped it. Fortunately, I had sorted where he was coming from long before the current BioLogos conversation, but I can see why people are talking past each other. Hunter uses “evolution” to mean not simply a theory of descent with modification, but the theory plus all the metaphysical motivations and assumptions that are typically built into it and typically appealed to in arguing against critics of evolution. Thus, for Hunter, “evolution” implies not only the bare theory of common descent, random mutations plus natural selection, etc., but also all the metaphysical assumptions employed in reasoning. He gives examples of “God wouldn’t do it that way” arguments to Venema and others in the conversation, but they aren’t seeing the point. Thus, for Venema, there is no reason why God would create whales with partly-developed leg bones they were never going to use, so random mutation plus natural selection etc. must be the explanation. But how does Venema know what God would or wouldn’t be likely to do? As soon as someone says, “God wouldn’t have …” that person is injecting a theological premise into the argument, and any conclusion following from that premise will be theological. Thus, if Venema concludes that common descent is certain because God wouldn’t have created whales with partly-started but never-used legs, Venema’s argument for common descent rests on a theological premise. Note that Hunter is not saying there can’t be good empirical arguments for common descent. He is saying that typically arguments for common descent are cast in the form of arguments against direct creation and invoke the idea that God wouldn’t do this or that (wouldn’t create useless partial organs, wouldn’t deceive us, etc.). He is trying to get philosophy-challenged biologists like Venema and Swamidass and Benkirk to see that there is a hidden metaphysical bias in the arguments by which they “prove” common descent. I think Hunter makes some good points here. I do sympathize with the BioLogos folks, however, to this extent: Hunter’s terminology is his own, and *not* universally shared by all ID proponents, and this makes his writing confusing. For example, as Swamidass points out, Behe accepts evolution in the sense of common descent, but Hunter denies that Behe accepts “evolution.” This is confusing. The confusion comes from the fact that Hunter doesn’t mean by “evolution” the limited thing that Swamidass means by “evolution.” In fact, if “evolution” means “descent with modification” then Behe accepts evolution. But Behe doesn’t accept what *Hunter* means by “evolution” — i.e., common descent plus a whole boatload of suppositions about what God wouldn’t do, about naturalism in origins, etc. So the participants end up talking past each other. Back to Hunter: what he has in common with several other ID proponents is his insistence that evolutionists frequently use “God wouldn’t do it that way arguments”, that Darwin himself often argued metaphysically, that evolutionary arguments often have an Epicurean historical pedigree, and so on. But Hunter should not be taken as representing ID overall. He should be seen as one particular ID proponent with his own characteristic vocabulary and emphasis. When people ask me for a good writer or book to introduce them to ID, I usually tell them to read Behe’s *Darwin’s Black Box*. Another useful summary is Jay Richards’s introduction to the Discovery’s book *God and Evolution*. The terminology in these other writings is more typical of ID writing than Hunter’s is, and therefore may be less confusing to those trying to figure out what ID is saying. Finally, it is important to add that ID as such has no opposition to common descent. Many ID proponents are skeptical of common descent, but ID does not stand or fall with common descent. ID can accommodate common descent. Hunter, along with Jonathan Wells and Paul Nelson, is among the ID proponents who have vigorously questioned common descent itself. Other ID proponents have either accepted common descent (e.g., Denton, Behe) or doubt universal common descent but are willing to believe that common descent may explain the origin of some species, genera, etc. Hunter’s extreme claims that common descent is not at all well-founded are his own, and not part of the ID position as such. ID proper is neutral on common descent, but skeptical about any explanation of descent with modification that relies largely on chance modifications. In other words, Hunter’s skepticism is more radical than Behe’s or Denton’s. That’s why they’re really bristling over at BioLogos over Hunter’s remarks. He is not, like Behe, doubting merely *some* things that BioLogos holds dear; he is doubting *everything* that BioLogos holds dear. I think the case for common descent, even without the metaphysical arguments, is stronger than Hunter makes out; still, I believe that it is good for scientists to periodically revisit their assumptions, and I think Hunter’s challenge is healthy for them, especially for the folks at BioLogos who tend to be very doctrinaire and defensive about “consensus science.” It’s good for them to be made self-conscious of their assumptions from time to time. Thanks for that clear exposition. I agree that Hunter’s vocabulary is distinctive (but so is Joshua Swamidass’s sometimes! ), but I also think that, having worked in his particular field of interest for so long, he assumes greater insights in his opponents than they actually have. But partly, of course, that’s his point: it’s a kind of victory for his position every time somebody protests, “This evidence is all about science, and nothing to do with metaphysics.” (HINT: the right answer would be to justify the metaphysical basis of your science against the alternatives). One instance of that is someone on BL trying the familiar argument (it usually comes from Gnu Atheists, though) that Hunter shouldn’t criticise Baconian science since the benefits are all around him. And yet a very quick Google through sources on Hunter’s views showed me yesterday that he is a proponent of Bacon’s pure empiricism as compared to the early-modern Lutheran, Anglican and Catholic theologians who promoted naturalism. Hunter has, in fact, assumed distinctions that his opponent is simply unaware of. It seems to me BioLogians generally quickly snap into the mode of “correcting the ignorant” rather than learning what their opponents know first and disagreeing with it. For instance, when George accuses him of knowing nothing about various fields of evolution, I wonder if he’s clocked Hunter’s PhD in Biophysics and Computational Biology – which is in the same general area as Joshua Swamidass’s education. Wrong he may be – but uneducated he is not. One more thing I would add for Noah’s sake, and that’s that it may not be immediately clear why Hunter says that when Swamidass (for example) says genetic evidence points to common descent and away from all alternatives, it is a theological/metaphysical argument. There may seem to be no such alternatives, making the argument appear genuinely empirical and Hunter a nitpicker or, worse, a heresy-hunter. The reason is that we’re so steeped in naturalism that we can usually only think of “miracles” as an alternative. Even were that the only option, the metaphysical question is why we should opt to default to “natural” over “miraculous” as the common situation. But there are, in fact, a number of other explanations which, in other times, were mainstream and which have not been disproven, but simply discarded for mainly cultural theological reasons. Hunter’s examples are platonic forms (Michael Denton’s structuralism would be comparable), and aesthetics (yes, serious worldviews have assumed that the world’s creation is based on beauty – think Pythagoras, for example, who influenced Kepler). With regard to common descent, one could also add the principle of plenitude – which demanded strictly nested hierarchies centuries before evolution (Linnaeus). Or one could think of something like Lamarck’s original concept of evolution, which was that primitive life appears regularly according to natural law, and evolves along pretty well-defined pathways. So that if you find a coelocanth now, it doesn’t follow that it’s descended from prehistoric coelocanths, but rather that its particular line has reached that stage of progress. Thanks for this, Jon and Eddie (responding to you both to save time and space, as my thoughts are the same in both instances). I’m seeing things a bit more clearly. That whole thread is probably a bit of a mess and if that’s all Hunter is asking, then it’s a question worth discussing. I still think he’s inviting a bit of scorn upon himself when he declares that mountains of evidence point away from CD, and doesn’t do much to back it up. All are at fault, it would seem, in that thread. Hunter seems to be cagey, unspecific, and overplaying his hand, and everyone else is defensive and probably uncharitable (though Venema has been kind enough, it would seem). I wish we could discuss things more kindly (which is why I prefer The Hump to Biologos, at least now since *ahem* certain characters are absent), but both sides seem to be at fault here. That’s all I really have to say on it. As a sidebar, Jon, I need you to settle a bet–I know you probably don’t do house calls, but perhaps an internet call is okay! Every time I start to feel under the weather (often enough, given my pollen and mold allergies and the climate in which I live), my mom’s first instinct is to tell me to take a lot of vitamin C supplements. I’ve long been suspicious that this does anything, and I’ve read some things that cast a lot of doubt on the efficacy of it, but I was wondering if I could get an M.D.’s take on it. Well Noah – I’m not on the medical register now, so couldn’t possibly advise professionally. However I did have a dream not long ago in which I read a paper that suggested that controlled trials showed no significant benefit from treating colds with Vitamin C.
Very weird indeed, Jon. It’s a good thing dreams are irrational or else we might confuse them with reality! I shall now try to report your dream to my mother without sounding too smug.